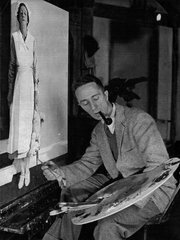 “Norman Rockwell was demonized by a generation of critics who not only saw him as an enemy of modern art, but of all art,” said Deborah Solomon, whose biography of Rockwell, “American Mirror,” was published last year. “He was seen as a lowly calendar artist whose work was unrelated to the lofty ambitions of art,” she said, or, as she put it in her book, “a cornball and a square.” The critical dismissal “was obviously a source of great pain throughout his life,” Ms. Solomon, a frequent contributor to The New York Times, added. But Rockwell is now undergoing a major critical and financial reappraisal. This week, the major auction houses built their spring sales of American art around two Rockwell paintings: “After the Prom,” at Sotheby’s, and “The Rookie,” at Christie’s. “After the Prom” sold for $9.1 million on Wednesday; “The Rookie” for $22.5 million on Thursday. 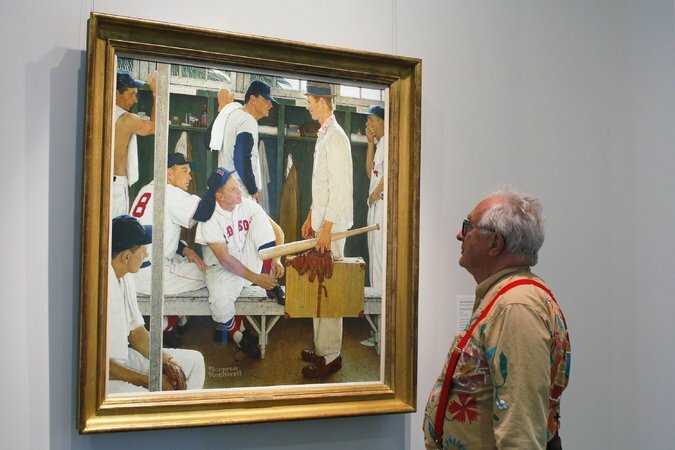 The explanation for the sudden and, to many, improbable surge in the price of Rockwell paintings dates to at least 2001, when the Guggenheim Museum mounted a major retrospective of Rockwell’s work. Coming just after the terrorist attacks on the World Trade Center, the show may have touched a nerve with an American public hungering for the reassurance of traditional American values captured by Rockwell’s vision. “That was the big turning point,” Ms. Solomon said. “He finally was getting art world recognition.” Still, some critics were incensed by the exhibition. “It shows the Guggenheim further trashing the reputation won for it by generations of artists,” Jerry Saltz wrote in the Village Voice. But the show set an attendance record. (Published by The New York Times). Take a walk down memory lane through our Norman Rockwell collection here. Previous Post Previous post:HAPPY MEMORIAL DAY FROM GALLERY ART!